We are all anticipating a great 2013 and many of us are making resolutions to help us lose weight, spend more wisely, or make other positive changes in our lives. At MBAC we have some resolutions of our own to improve programs, offer more services, and become a better organization. We thought we'd share some of those resolutions with you and ask for your feedback on anything we may have missed. As you read earlier in the newsletter, we are well on our way to accomplishing this goal! 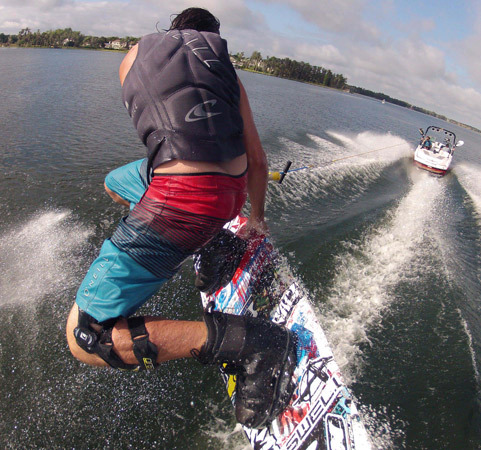 Working together with Correct Craft we are replacing our current fleet of wakeboard boats with 5 brand new 2013 Super Air Nautiques! We also just received our shipment of current year Liquid Force wakeboards and bindings and are putting them in service right now. Resolution #1 almost complete! 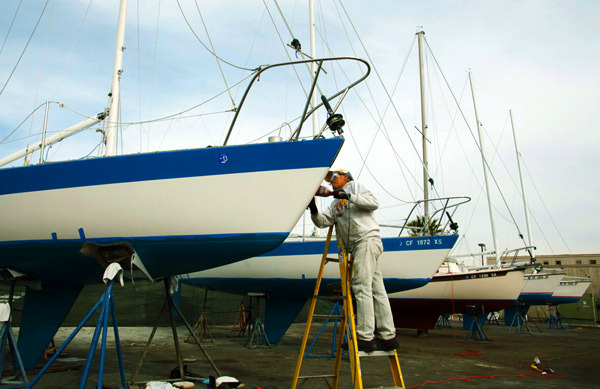 Over the winter break we have been hard at work refurbishing and reoutfitting our sailing boats and equipment. We pulled our fleet of keelboats out of the water (pictured above) and cleaned and painted the hulls. We are currently replacing the sails on all of our Sabots and Lasers and have also been performing fiberglass repairs on our Holders and Hobies to improve your sailing experience. In 2013 MBAC will receive certification of LEED Platinum for Existing Buildings by the U.S. Green Building Council. Last year we recycled 75% of our waste stream and our goal for 2013 is to get as close to 100% as possible. We estimate that our solar photovoltaic power system will produce enough energy in 2013 to offset over 1,300 homes and prevent over 82,000 lbs of CO2 from being emitted into the atmosphere. We have been working very hard over the last few years to find a way to offer the convenience of online registration for our programs. We have successfully launched online registration for our youth camp programs and are looking forward to offering online registration for rec classes, university credit classes and rentals this year. Do you have a suggestion for a resolution for us this year? Feel free to let us know!